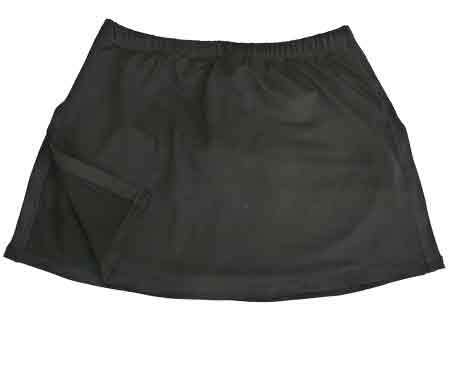 Plain black Aida tennis skirt with matching undershorts, elasticated waist. 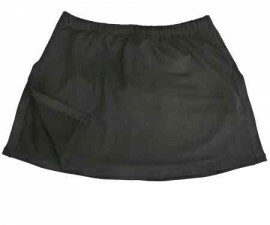 The split on each side allows for ease of movement and lets the skirt hang properly with a flattering fit. No pockets. Lengths XL 16", L 15", M, 14"